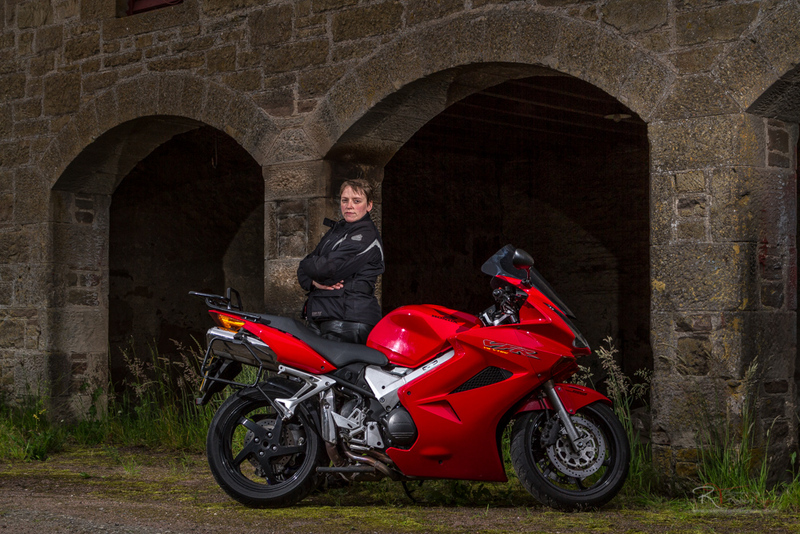 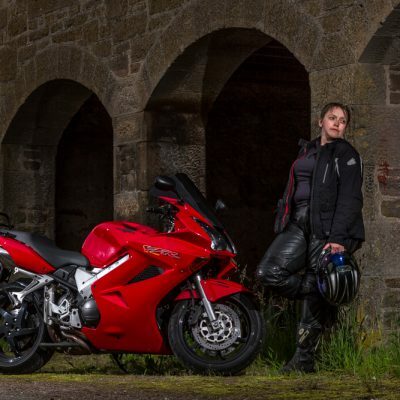 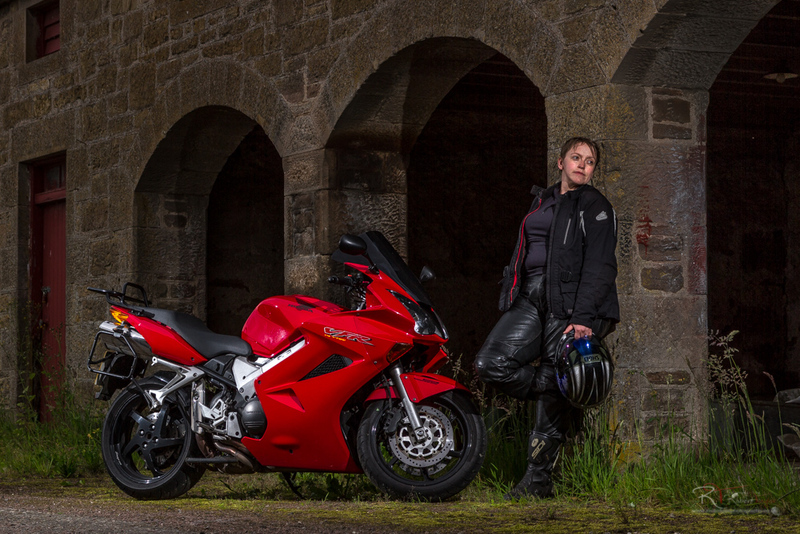 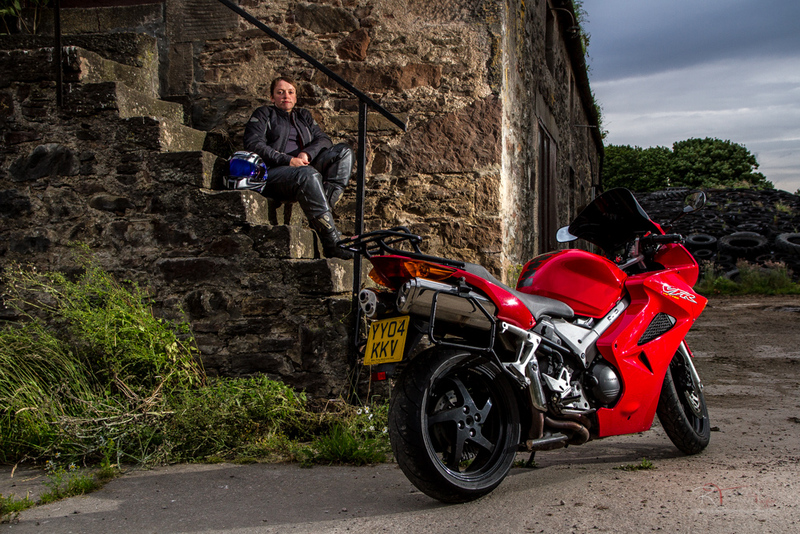 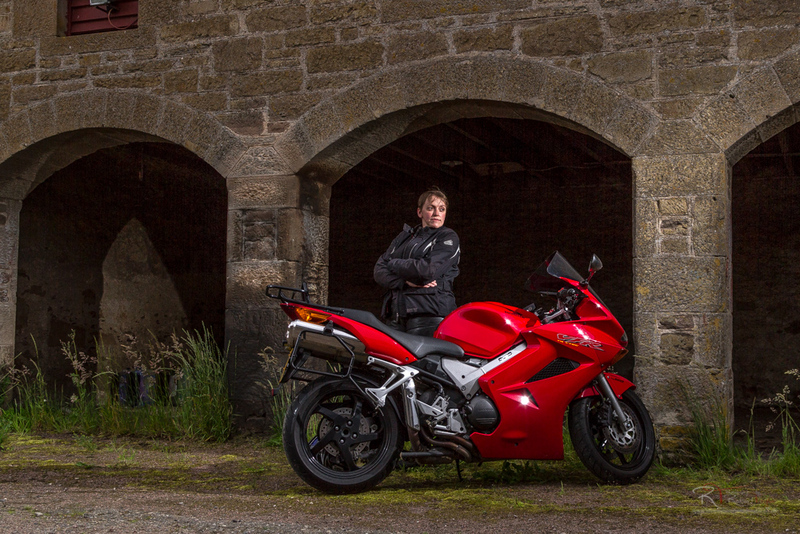 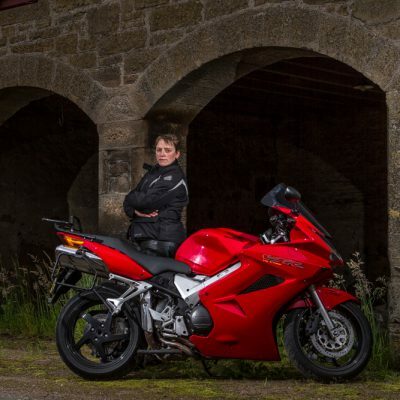 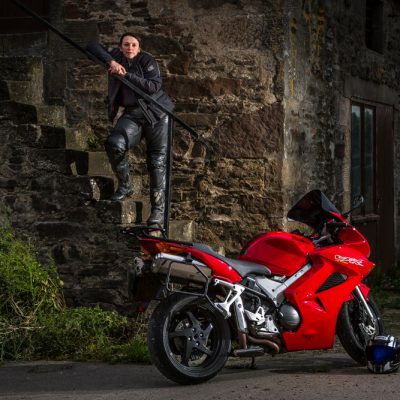 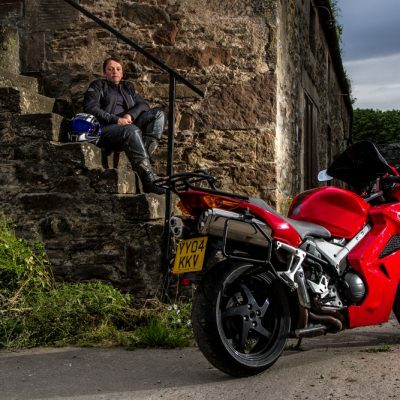 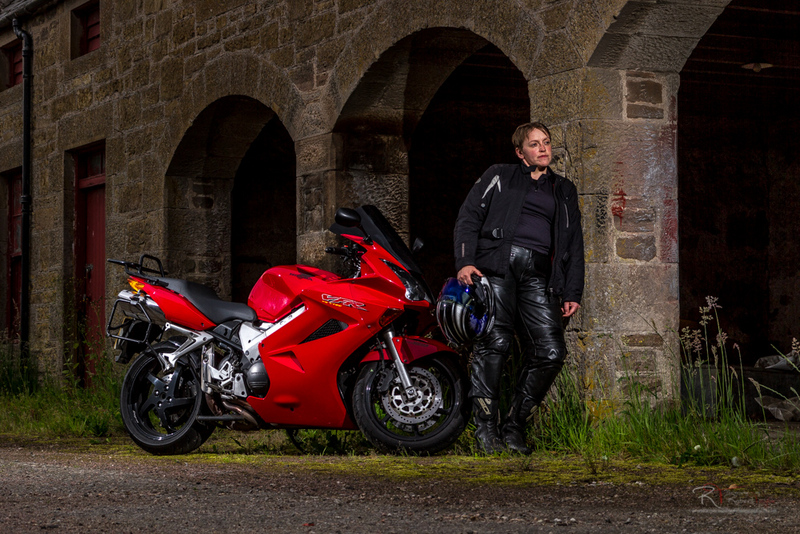 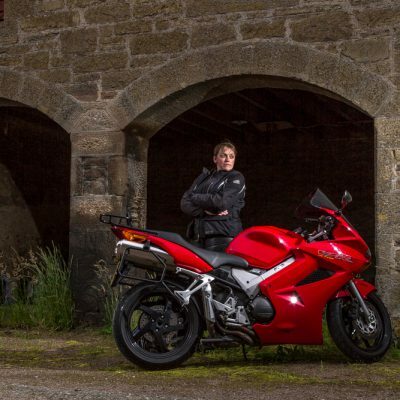 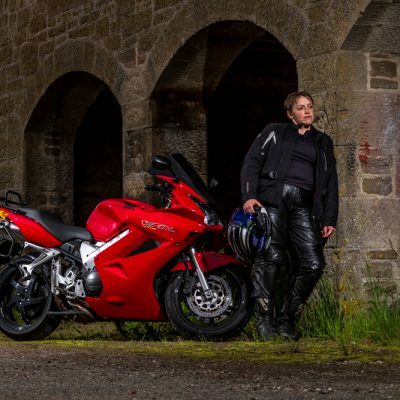 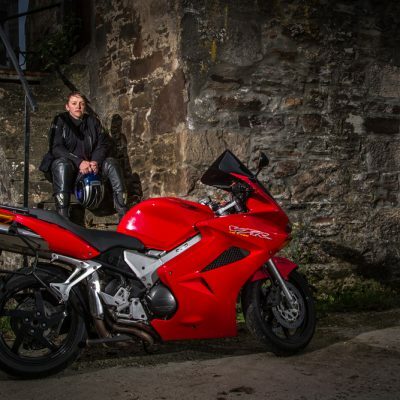 When Lucy pulled up on her Honda VFR800 VTEC, I was a little bit jealous. 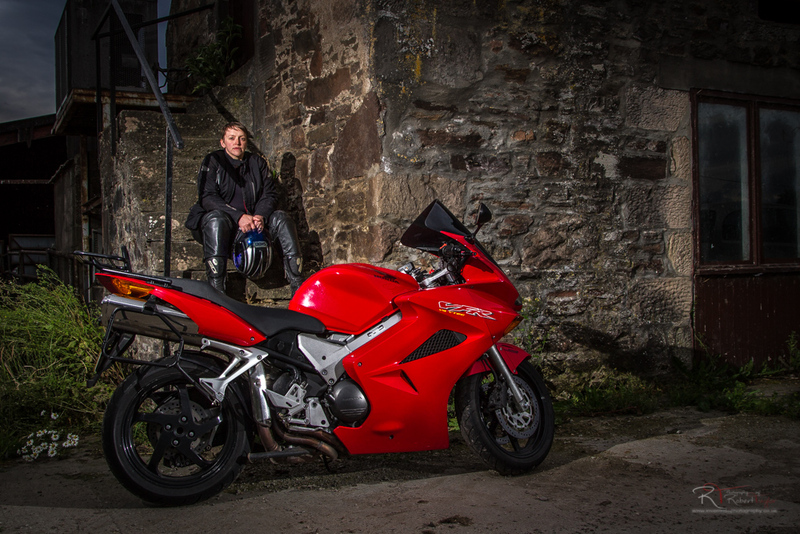 It was the same bike as I had but was looking much better than mine! 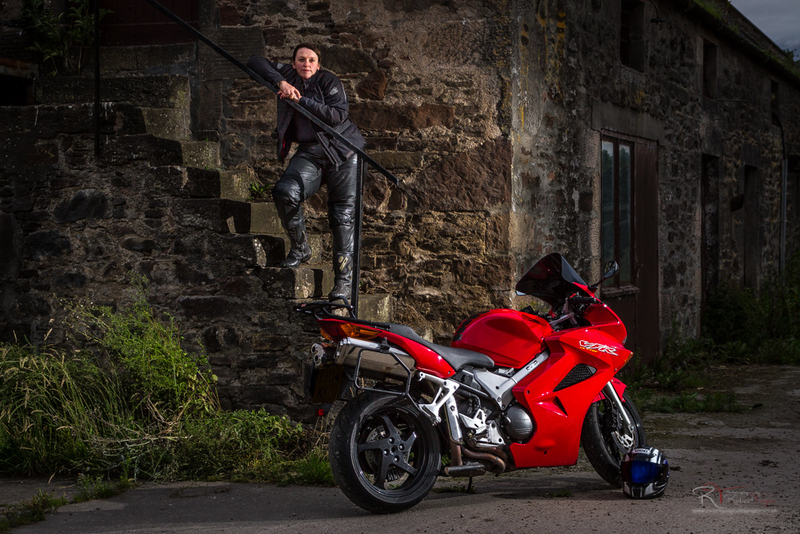 Too much winter riding hadn’t done me any favours, especially when I was a bit lazy with the hose…Lol. The old farm stables and buildings near to Castle Stewart provided a great backdrop for creating some fantastic images and there were plenty of handy boulders lying around to help weigh down the light stands as the wind was starting to pick up.